Take your time and read the electric toothbrush buying information just below, and then read through the top 5 list one by one. Alternatively, click this link to check out our top 5 best electric toothbrush comparison table. He (or she) is right. We all know that flossing is important – it’s just a pain until you get used to it and it becomes a routine (you could also use an oral irrigator, see the review here – Best Water Flosser Reviews). But it’s also been proven in study after study that people who use electric toothbrushes have less plaque buildup and are less likely to develop gum disease. Electric models cover more space in less time because they move so much faster than a manual brush. 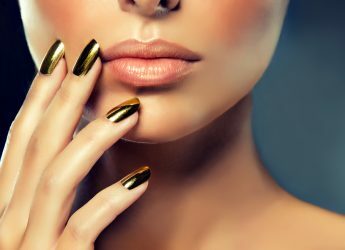 And there’s a hidden benefit: research shows that the average person only brushes for about 45 seconds with a manual toothbrush but most electric models run for two minutes before shutting off. “By default,” you’ll brush for the correct amount of time by choosing electric. The number of electric toothbrushes on the market has exploded over the last two decades, but there are only three basic types. The most common models have heads that rotate or oscillate side-to-side or up-and-down, to scrub teeth just as a manual brush would but more effectively. Sonic brushes make use of intense high-frequency vibrations to reach areas other toothbrushes can’t while also buffing teeth. We’re also starting to see more “ultrasonic” electric toothbrushes, which use ultrasonic waves a million times faster than those used by sonic brushes to break up plaque and kill bacteria. The Groom+Style review team finds the latter two much more effective and those are the ones you’ll see in our reviews. As you’d guess, sonic and ultrasonic models are more expensive than traditional rotating or oscillating brushes, so choosing between the types of electric toothbrushes is often a matter of balancing price with the type of brushing action you prefer. There are a number of other features that distinguish the best electric toothbrushes; perhaps the most useful is a “sensitive mode” for people with gum problems or sensitive teeth. Others find “deep clean” or “whitening” modes a distinct benefit. Another helpful add-on is a quadrant alarm that sounds every 30 seconds, so you know when to move to the next part of your mouth. Features that the review team feel are less important include an alarm that sounds when you’re brushing too hard (the alarm usually doesn’t go off until you’re using nearly-impossible force), an ultra-violet light sanitizer to clean the toothbrush between uses (UV effectiveness has never been proven), ergonomically-designed handles (you’re only using the brush for two minutes, how much difference can the handle make?) and extended run times (see our previous comment about two minutes). Some even connect to your phone via Bluetooth to give you a live report card on how well you’re brushing, believe it or not. Groom+Style will give you a rundown of each model’s extra features in our top 5 best electric toothbrush reviews, but will focus more on the big question: how well does the toothbrush clean your teeth? Philips Sonicare DiamondClean Toothbrush. Click on the photo to check the Price on Amazon. The Groom+Style review team may not think lots of extra features are necessary, but many people love them. That’s why we’ve selected the DiamondClean sonic model as the top-ranked electric toothbrush on our list; it does an exceptional job of cleaning teeth while providing most of the extra goodies you might need (minus the Bluetooth and UV functions). The price you’ll pay reflects the fact that this Sonicare is at the upper end of the spectrum. 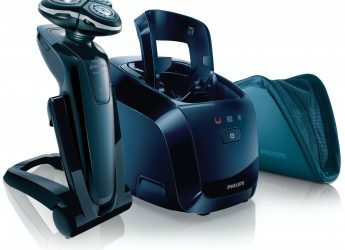 Every manufacturer claims that its brushing technology is the best, and Philips is no different. It uses two different types of brush heads called “DiamondClean” and “Deep Clean,” with the first meant for whitening and the second for plaque removal. The brushes are designed to reach between teeth as they rotate, oscillate and pulse at up to 31,000 strokes per minute. The company claims that their technology removes ten times more plaque than manual brushing and improves gum health in two weeks; we have no way to judge those claims, of course, but the sonic DiamondClean emits a jet of water to reach between teeth as it works so it definitely sounds plausible. As an end user, you can tell that this toothbrush does a terrific job and leaves your teeth feeling as clean as you could want. There are five cleaning modes: cleaning, whitening, deep clean, gum care and sensitive. Like all of the models in our top 5 best electric toothbrush reviews, this Sonicare has a two-minute timer with automatic shutoff and also has a 30-second quadrant timer. It’s lightweight and comfortable in the hand, one battery charge lasts for weeks of normal use, and it can be charged either by USB (for those on the go) or in the included charger which is kind of neat – it looks like a cup so it blends right into your bathroom décor. It’s also available in five colors. 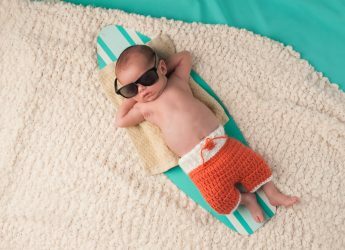 There’s no alarm when you press too hard on your teeth with the Sonicare model (although the brush does slow down), the charger doesn’t do the “UV sterilization” that some models perform, and there’s no Bluetooth capability to tell you how terrific a job you’re doing on your teeth. To us, that doesn’t matter; the review team believes the DiamondClean does the best job brushing teeth and that’s what we’re after when buying a toothbrush. 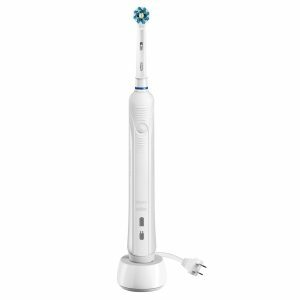 The best electric toothbrush around, providing an excellent clean and lots of features to boot. Oral-B 7000 Smart Series Toothbrush. Click on the photo to check the Price on Amazon. If you simply have to have an electric toothbrush with Bluetooth connectivity, this Oral-B sonic model is the one you’re searching for. The head is smaller, the bristles are supposedly set at the optimal angle for brushing (16°) and the proprietary technology is called “Cross Action,” but like the Sonicare this model pulses and oscillates at very high speeds, in this case up to 40,000 pulses per minute. The small bristles on the 7000 Smart Series do an effective job of reaching nooks and crannies that are harder to get at with the larger bristles on some competitors, and the sonic action breaks up plaque just like the DiamondClean. How effective is it? Well, we’ve already told you that Philips says its toothbrush is ten times better than manual brushing, and Oral-B says its brush is up to 100 times better – those numbers remind of us an old saying about lies and statistics, but the bottom line is that both toothbrushes do an excellent job. The review team liked the DiamondClean a tiny bit better, but we do mean a tiny bit. The Oral-B 7000 has six cleaning modes, adding “tongue cleaner” (if that’s important to you) to the more standard modes of daily clean, deep clean, sensitive, whitening and massage. There are three replaceable heads, and there are two-minute and 30-second quadrant timers just like the Sonicare. There are some differences, though. The 7000 can only be charged by AC power and the charging station is more standard-looking than on the Sonicare, a normal charge lasts for 10 days instead of 21 and the NiMH battery doesn’t last as long as the lithium-ion battery on the Sonicare – and can’t be replaced. Once the battery’s dead, the manual says to throw the toothbrush away, even though it costs as much as the DiamondClean. So that brings us to the reasons this toothbrush is ranked at #2 on our list, despite those negatives. First, it does a terrific job. Second, some people prefer the brushing action of Oral-B models over that of Sonicare brushes. Finally, it has the Bluetooth connectivity and app to tell you in real time how you’re doing and if you need to change your brushing routine; you can also save six months’ worth of info to show your dentist. The review team found no real need for it, but you might. If you do, this is the best electric toothbrush on the market. It comes in white or black; the white is easier to clean. Even though the battery on the Oral-B 7000 is not as durable as the Sonicare, some users prefer the brushing action of the Oral-B brush – and of course, it has Bluetooth connectivity! You’re undoubtedly familiar with Philips and Oral-B, the top two manufacturers in our Groom+Style electric toothbrush rankings, while Sonicool is a brand you’ve probably never heard of. This toothbrush, though, is worth a closer look. The sonic technology which powers the Sonicool’s cleaning action vibrates 48,000 times per minute in whitening and polishing mode, 41,000 times per minute in cleaning/plaque removal mode, and 31,000 times per minute in sensitive mode (which is also the right choice for brushing gums). That makes this brush one of the most powerful on the market, and when combined with its “3D” rotation and oscillation, we believe the Sonicool does just as good a job cleaning and removing plaque as its brand-name competitors. Other nice features include a built-in pause every 30 seconds to remind you to shift to the next quadrant of your mouth, full waterproof construction, a trio of replacement brushes – and the best feature of all, a price that’s far lower than our Philips and Oral-B recommendations. Then why does the Sonicool only rank at #3? Two reasons: the construction is good but not as solid as the better-known products the review team has placed at #1 and #2, and this model does not come with its own charger base or an AC charging option. You have to connect it to a computer or other piece of electronics via USB for a 15-hour charge (which gives you 240 minutes of cleaning time). That inconvenience may make the low price seem like less of a bargain to many shoppers. 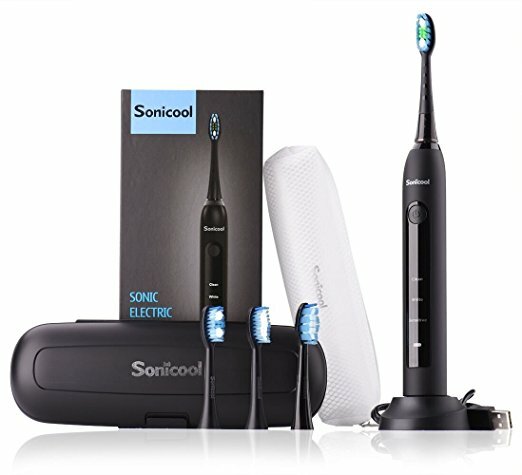 The Sonicool Sonic Toothbrush is great for travelers who can charge it with the USB port on their laptop, but may be too much of a hassle to be used as a regular bathroom model. If the USB issue isn’t a deal-breaker for you, however, this is a great toothbrush at a terrific price. Waterpik WP-900 Complete Flosser Toothbrush. Click on the photo to check the Price on Amazon. The review team have included this option not because it’s the best electric toothbrush – it isn’t. 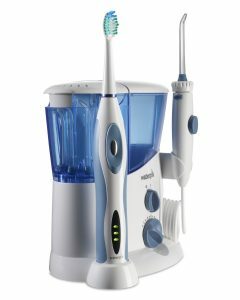 But it’s a very good one, it comes complete in a single unit with the water flosser that Waterpik became famous for (in fact, they were just called “Waterpiks” long before anyone ever heard of the term “water flossers”) and it comes in at less than half the price of our first three reviewed models. The toothbrush is made by Sensonic and is a bare-bones sonic brush with just two speeds (the high speed is about as fast as the Sonicare’s top speed), two heads and a timer. But it does the job just fine and you’re not paying for lots of extra features. The star of this combo is the water flosser, which requires some extra work (like filling the reservoir every time you want to use it and extra cleaning), but it has ten speeds, five tips (including an orthodontic tip and a “plaque-seeker”) and removes all kinds of stuff from your teeth that no toothbrush could ever reach. There are two types of people who’ve tried water flossers, those who love them and those who hate them. Those who love them swear their teeth have never been cleaner and this package combines a very good, simple sonic toothbrush with a great Waterpik. Those who hate them have four other choices on this list, including a budget model still to come. Oral-B Pro 1000 Power Toothbrush. Click on the photo to check the Price on Amazon. There are many cheap electric toothbrushes on the market. But if you’re looking for a solid performer for a low price, this simple Oral-B comes in a bargain and is better than most of the no-name models out there. There’s just one standard head and one mode, Simple Clean. It uses a 3D Oscillating action with the same 16 degree angled bristles as the DiamondClean, there is also a regular and a quadrant timer. Most importantly it does a very good job at a very low price. For the person who wants a fully featured, elegant, long life, Sonic electric toothbrush and is willing to pay for it. PRO: Exceptional clean (5 cleaning modes), elegant design (cool charging glass), travel case, usb charge, long life lithion-ion battery. 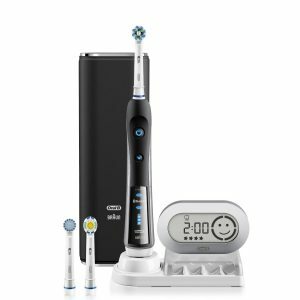 For the tech-lover who wants a great Sonic electric toothbrush which is bluetooth enabled (connect to app to store 6 months of brushing data). PRO: Exceptional clean (6 cleaning modes), Bluetooth Connectivity and very close second to the Philips Sonicare DiamondClean. CON: NiMH battery not as durable as the Philips Lithium Ion battery. For the person who wants a very effective sonic toothbrush at a very reasonable price. 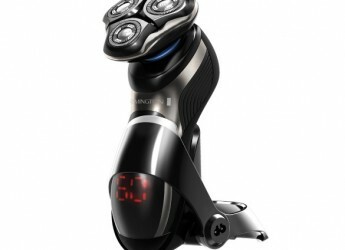 PRO: Good quality, very powerful, 3D oscillation/rotation, waterproof. CON: Not as well-built as more expensive models, requires long USB charge with no AC alternative. For the person who wants an exceptionally priced Sonic electric toothbrush (bare-bones) plus a waterflosser in one unit. This might be someone who has braces who is looking for a waterflosser as well. PRO: Great value - two cleaning devices for less than half the price of top end models. CON: Compromise of a bare-bones sonic electric toothbrush (and a great waterflosser). For the person who wants a high quality, no frills, electric toothbrush but does not want to pay hundreds. You might be buying your first electric toothbrush just to see what all the fuss is about. PRO: Great introduction to the world of electric toothbrushes from a brand you can trust. Rinse your toothbrush after use – some users like to take the head of in-between uses to ensure the toothbrush motor can dry. This ensures that mold does not grow between the motor and toothbrush head connection. Alternatively, you can buy a great little product called the sonic seal which covers the nooks and crannies on electric toothbrushes were mold, bacteria and saliva can potentially penetrate. It’s a great investment. Store your toothbrush in bright areas with lots of sunshine if possible, to further reduce the build-up of bacteria and mold. For those of you who want to go the extra mile for your smile, feel free to read about how you can go about brightening your teeth further with the Top 5 Best at Home Teeth Whitening Kits. 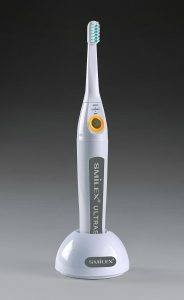 Smilex AU-300E Ultrasonic Toothbrush. Click on the photo to check the Price on Amazon. Note: a cool choice from 2017’s list but unfortunately, it no longer seems to be available. You’ve probably never heard of Smilex… The head moves half-as-fast as the first 2 models on our list, the Smilex has only one brushing mode and comes with just two heads. It doesn’t feel as sturdy as the Sonicare or the Oral-B. But the review team rank it at #3 for a very important reason. It can be used as either a “normal” sonic toothbrush to provide the benefits of a “normal” high-end brush, or you can add high-speed ultrasonic waves to break up plaque quickly and go deep into tissues to kill the bacteria that cause plaque and gum disease. Groom+Style have already told you how we feel about manufacturer statistics, but Smilex says this model is clinically proven to reduce plaque by 97% in just one use – and more and more dentists are using ultrasonic equipment for the same reason. From a user standpoint, the ultrasonic waves definitely do a great job on plaque. They also cut way down on bleeding gum problems, because the waves do their work without the need for hard scrubbing with the brush. In some ways, brushing like this is a revelation. 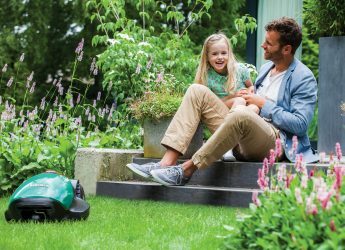 There are the usual timers but no other bells and whistles; the battery charge lasts about two weeks and the AU-300E uses a shorter-life NiMH battery. 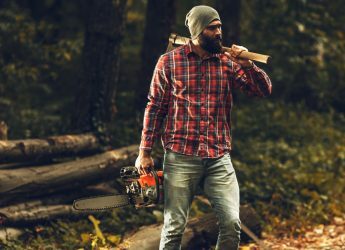 But in addition to the one-year limited warranty, the manufacturer will replace your toothbrush for half-price, for any reason, for the life of the brush. 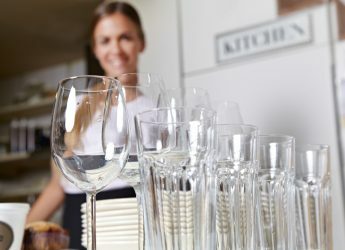 That alone may convince you to give ultrasonic cleaning a try, particularly if you have braces, dental appliances or other things that make brushing difficult. Thanks for the feedback, yes it is a shame that the Smilex no longer seems to be available. The Smilex toothbrush is no longer available anywhere. Even tried Amazon. Instead I found the Megasonex toothbrush on Wikipedia (ultrasonic toothbrushes) and bought one from Hong Kong. Love it. Lasts over a month on one charge. Feels solid, small and light. My hygienist told me that my teeth looked like she just cleaned them the last time I was there. A bit expensive, though. About $190 bucks including delivery. From what I can see, there are (or where) only 3 truly ultrasonic (working on 1.6MHz) toothbrushes on the world market: Smilex, Megasonex and Emmi-dent. Check them out. I’m using Oral-B Vitality D12 for more than 12 months. Even if it’s a pretty cheap toothbrush, I like it. Now, after reading your post, I’m thinking to buy a better toothbrush, maybe the something similar to the Oral-B 7000 Smart Series, but a little cheaper. Thanks for noting that the Oral B doesn’t allow you to replace the battery. That’s a deal-breaker for me. Why spend money on an electric toothbrush that you have to replace in a couple/few years? No other sites said anything about replacing batteries, or even what type of batteries each model had. Good work!! Thanks for the kind comment. We only tested the Philips Sonicare DiamondClean – was there a specific model you were interested in? nice reviews! 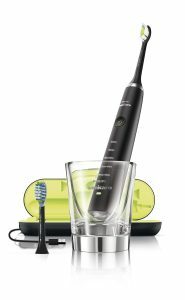 do you have reviews for other philips sonicare toothbrush? I purchased the Waterpik WP-900 and Oral-B Pro 1000 after i had extensive dental implants and bridge procedures carried out May 2016 in Melbourne. The Oral-B Pro is an absolute godsend and i agree with you 110% in relation to switching from manual toothbrush to an electric toothbrush speedily. That ‘cleaner’ feeling and smoother tooth texture is noticeable straight away. I tend to switch between my Waterpik and new toy, the Braun Oral B oxy jet air and waterflosser. It certainly does it’s job in stimulating the gums which i guess promotes good flow.